A growing problem in the so-called ‘smart phone era’ is the presence of mobile devices in vehicles. 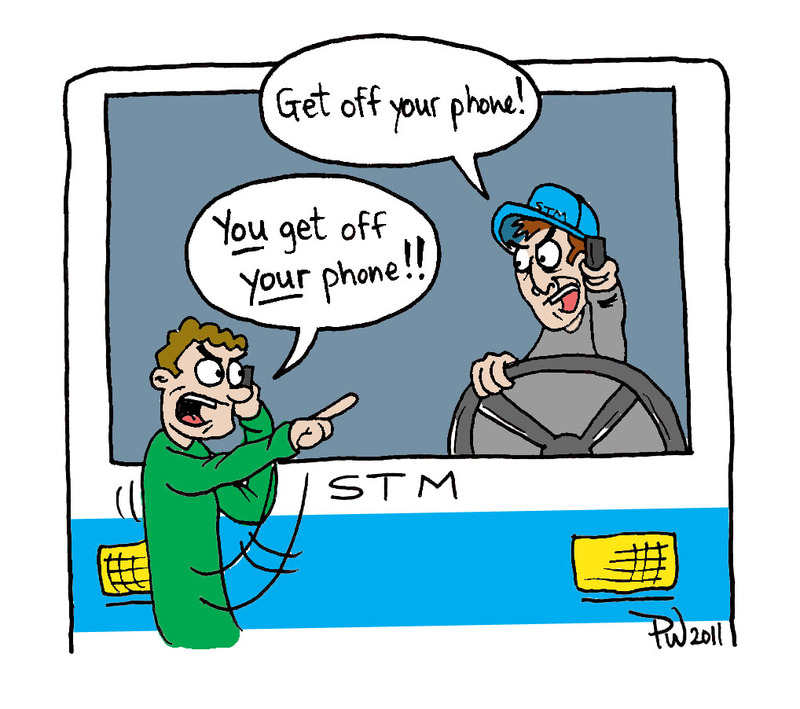 Despite hands free technology, texting and driving is becoming exceedingly difficult to curb. Year after year, statistics keep growing as police give away tickets, with over 21,000 tickets given out in 2012 alone for using a cellphone while driving. “Distracted driving has always been a major factor in collisions, but it’s been a result of electronic technology that has really brought it to the forefront,” Ontario Provincial Police, Sgt., Pierre Chamberland, told CBC. The current penalty in Quebec is a ticket ranging from $115 to $154 and three demerit points,a penalty fairly similar to the one for speeding or burning a red light. However, considering the danger it poses, authorities are beginning to question whether or not the penalty should be more severe. Every province has put laws into place against handheld devices in vehicles. The problem is more severe than ever, with collisions due to texting and driving going up by 17 per cent between 2006 and 2010, according to Statistics Canada. In Nova Scotia, it is officially the primary cause of death while manipulating a vehicle, surpassing driving under the influence. The statistics clearly show that more needs to be done to address this major issue on our roads. Our society is becoming more demanding, and people’s stress levels are skyrocketing. When you combine people’s hectic lifestyles with the fact that technology allows us to conduct most of our business on our phones, it becomes evident that it won’t be an easy task. “There are different ways you can be distracted, either visually, manually or cognitively,” Christine Yager, a researcher for Texas A&M University, told CBC on May 30. Yager conducted research to measure the dangers of texting and driving by having a group of people drive a closed course without cellphone use at first, and then with a series of texting exercises. The results were crystal clear. “No matter which texting method was used on the cellphone, the response times were approximately two times slower than the no texting condition,” said Yager. Stricter laws are in desperate need here, at least for a start. Take the state of New York as an example. If you are caught texting and driving in the Empire State, your license will automatically be revoked for a period of 60 days, and for a period of six months for repeat offenders. That’s taking the long claw of the law and using it to your advantage. Although it may seem harsh, perhaps even cruel, it’s a penalty severe enough to actually have positive effects on this problem. The governor is right. To have the ability to drive is to have a responsibility for your safety and the safety of others. Ultimately, banning cellphones entirely may be the only valid solution to a problem that is this consistent. Editorial: Where is the outrage?